These tools were developed to help communities inventory and manage their natural, cultural and historic resources during the Cultural Heritage Resource Survey and Planning phase. 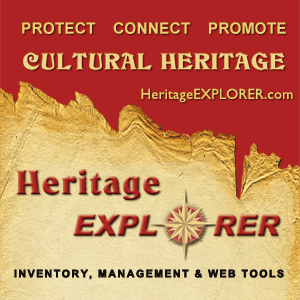 If you already have a resource inventory, but it is in a static document or computer database, Heritage Explorer is a great tool to make the information come alive and become fully sharable and searchable online. They can be used to promote Cultural Heritage Resources by making them available online to your partners or the public via an interactive website.